If you are anything like me, then not only do you go crazy over books, but book-ish gifts and items as well! I found a perfect website for book-ish products that not only are cool, but they benefit literacy as well! All profits from these items are donated to funding libraries in developing countries! How awesome is that? 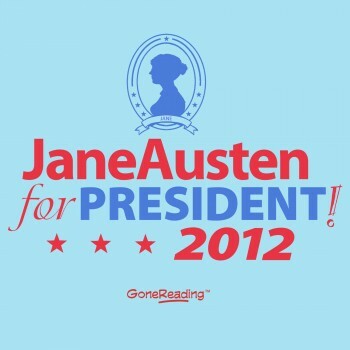 GoneReading.com carries a bunch of fun book-ish items, and they ship anywhere in the world! (Though if you live in the US, you can get free shipping if you spend $25 or more.) They carry tees, booklights, games, bookmarks, and more! 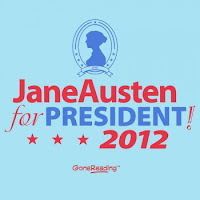 My favorite so far--this Jane Austen for President tee! More good news--I have a coupon code for 25% off your total purchase! It expires March 24th, so hurry up and use it before it's gone! I'll definitely try it.Its a great idea. Oh thats a nice site.